PJT Design are proud to announce that we will officially be launching the ZONE home studio concept in association with Potton Ltd/Kingspan at this years Grand Designs Live!! Kingspan Off Site are launching the range by way of a full model being constructed in The Village at this years show. ZONE will enable you to create extra space at home for use as a home office, playroom, art/music studio etc. ZONE is likely to be able to be constructed normally without planning permission and with little or no building regulations. 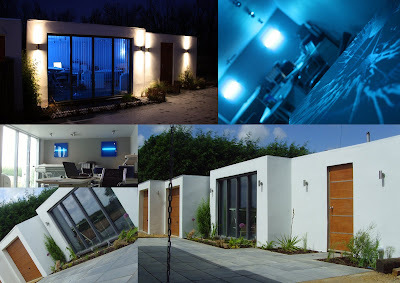 Furthermore, due to the construction process allowed through working with Kingspan/Potton, ZONE can be built quickly and efficiently and heralds a new and exciting dawn for home studios. Forget all that you have ever seen before for home studios as ZONE is just about to re-write the rule books! ZONE home studios by Kingspan/Potton is officially being launched at the show! Just to let you all know that I will be at this years show for all of the 4 days. I will be on the Potton Ltd stand on Thursday and Saturday and with T J Crump Oakwrights on the Friday and Sunday. If you have projects you would like us to look at, please feel free to come and find me. Likewise, if you are current or past clients, please come and say hello. Well, as always, if someone says that to me then even more reason to give it a go! 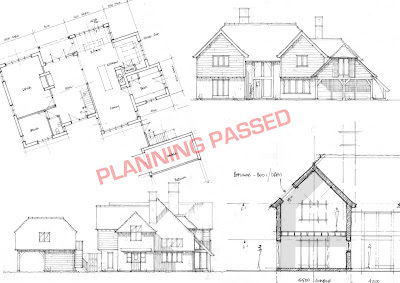 We can today advise that planning permission has been obtained for a really nice Hertfordshire referenced farmhouse. The subtle mix of limewash render, oak framing/joinery/boarding and slates will make this house look fantastic in the countryside and we are well pleased with this approval. Thanks go out to the ever helpful Richard Tiffin at North Herts District Council. He is a perfect example of what a planning officer should be…. HEREFORD OAK FRAME BARN NOW NEARING COMPLETION! This was a cool little site we designed a barn for last year…….. Client has now nearly completed the project on schedule and on budget and is very pleased with the results! You guessed it, this was another joint venture with our friends at Oakwrights! 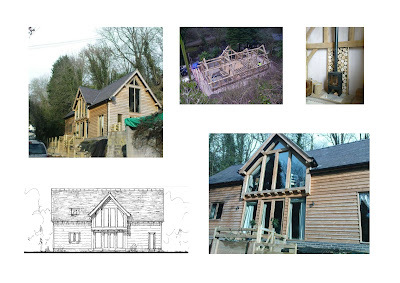 go to www.oakwrights.co.uk for more details of their amazing houses.